How Tall Should Your Bow Be In Relation To Your Height? I stand 5'9" (69"). My wingspan is 71". That puts my draw at 28.4" which pairs me with a 68" bow. By the calculations on this site, the proper bow for me is as tall as I am. Is there any compensation for height? Comments for How Tall Should Your Bow Be In Relation To Your Height? The height of the archer is not relevant. 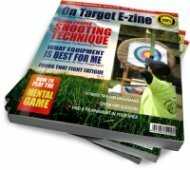 Your actual or calculated draw length is the deciding factor when determining bow size. 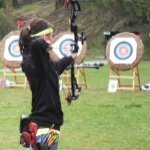 Because I don’t know your age or archery skill level or if you are selecting a traditional Recurve bow, a Longbow or and Olympic Recurve bow it is difficult to make a recommendation specifically for you...but all of these are factors to consider before making a final choice.